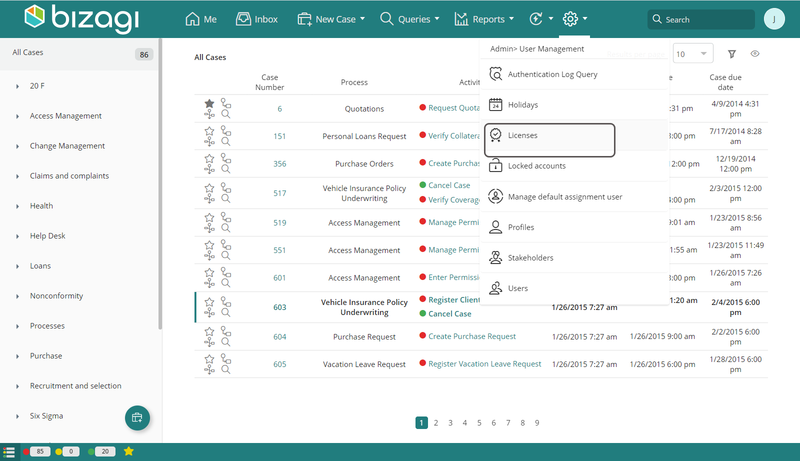 For usage based licenses and aiming to enhance the analysis of your processes performance, you can generate a report containing the BPUs use: the report contains the average BPU use within the last ninety days, per month, process type, and detailed processes. Administrators can generate the BPUs usage report from the Work Portal. Go to the Admin menu and select Licenses. 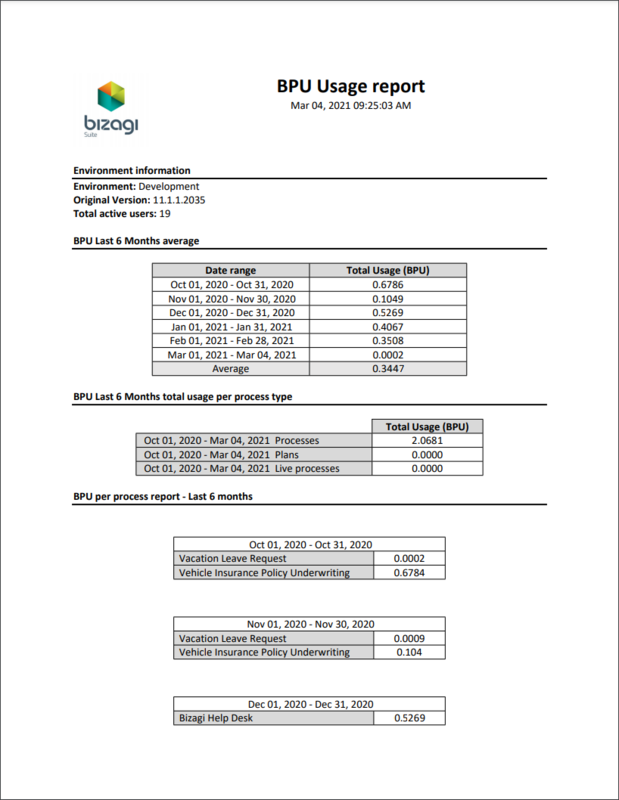 Then select the BPUs usage report tab and click Download. The report presents: the date of report generation, the version of Bizagi Studio where the project was created and where the report was generated, data base model (Build), if it has any Service Pack (None, SP1, SP2, SP3), and the average use of BPUs for the last ninety days. To generate values in the report, a process must be executed from the start to the end. •Has three logs which presents the total BPUs consumed in the range of dates that appear. •This indicator is in regards of processes, live processes and plans. •Has three logs: Processes, plans, and Live Processes. •Each register shows the total BPUs consumed on the last 90 days. •Has a unique table listing all the process that exist in the data base and the total consumption for the last 90 days for each of them.